Choice of Frames - Gold shown - More Here. Certificate available in Red (shown) or Blue. 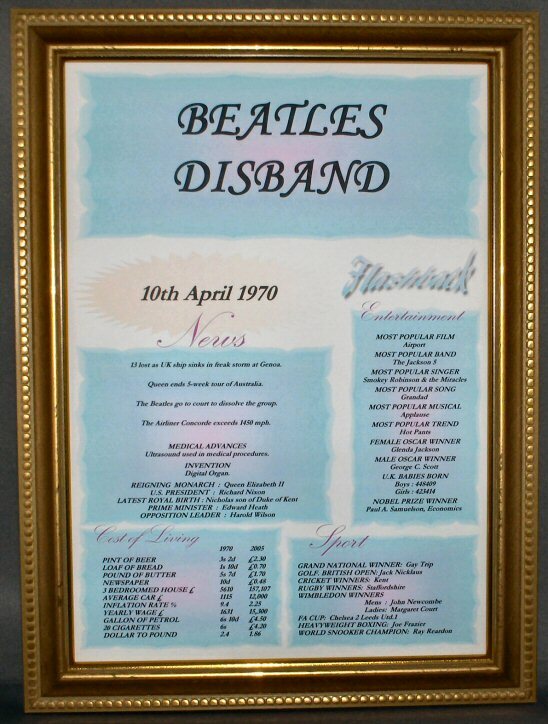 Records the sad day that the Beatles, the most famous pop group ever, officially disbanded. 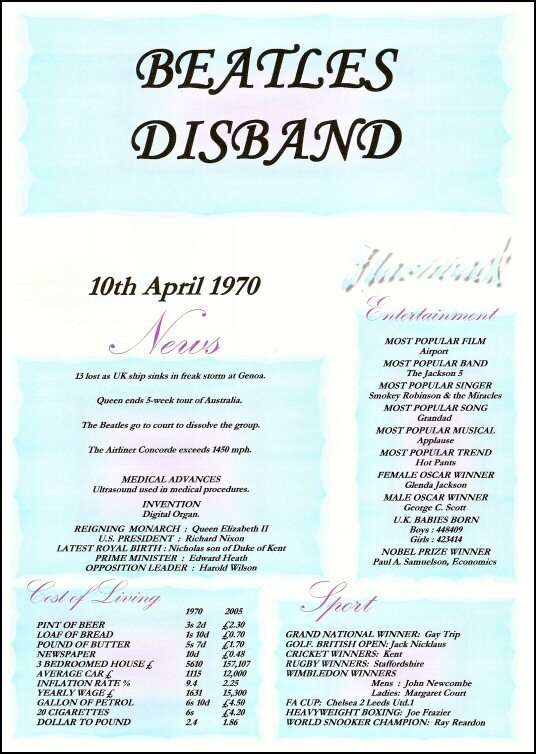 This Flashback Certificate records this significant day in the world of music, with news events, entertainment snippets, cost of living, and sports. 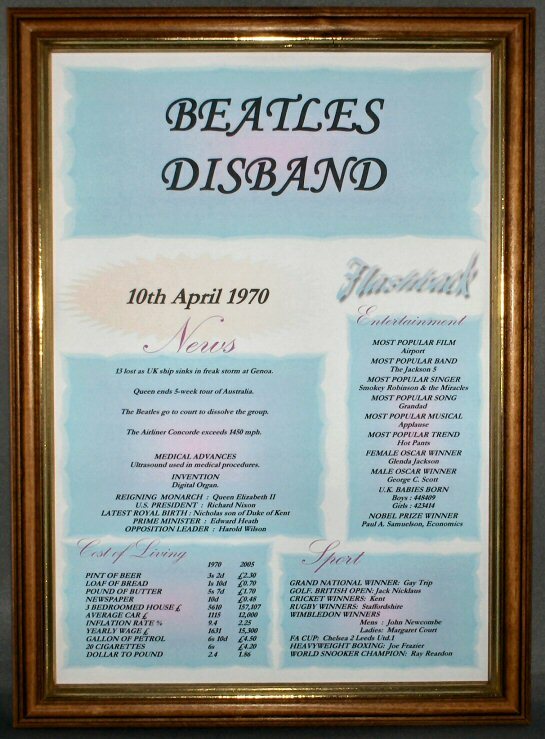 A memento ideal for the Beatles or Music fan. Makes a great gift!